I am all for leaving nature where it belongs, outside. I like the idea of living in harmony with nature the best we can even in the suburbs. I love to feed birds and a few squirrels but do it away from the house and enjoy them, but skunks can be hard to live with. This subdivision was built in 1974 and most of the houses are fenced with very mature hedges and tall wooden fences with ivy. It is a very private sanctuary for us considering we are in town. We also own an old dog, and sometimes at night we let her in the backyard to do her “business”. Last night was our first run in with the wild animals, known as “Mr. Skunk”. He was walking through our yard close to the house. We have a huge flood light that I had on, and our dog was in sight. We have a patio door that opens to the yard, and I was opening this door to call her in, when I looked down and thought there was a stray cat on my step. The flood light didn’t light the step up well, so it took me a minute to realize it was a skunk and the rest of the incident is still replaying in my head. My dog Sasha, who had not seen the skunk, was heading to the door to come in, the skunk was facing me as I quickly tried to shut the door, but too late. It literally looked like a gross sneeze. My dog was close to the door and got it in the face, and some of it came in through the opening and onto me and the rug. We have a fenced yard, but skunks don’t really climb well, so we looked around and saw some Credit: morguefile.comareas at the bottom of the fence had been dug up and a bit of black hair on the fence. So, you can get a few old rags and soak them with ammonia, and place a rag at the areas you think he may have come in through. It is only good for a few days, but skunks are routine, and they will change their route. In the meantime put some chicken wire over the hole if you can and really inspect the bottom of your fences and consider placing chicken wire at the base of hedges to keep them and raccoons out of your yard. 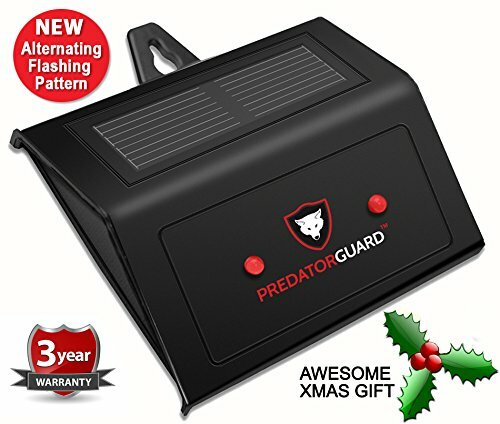 I have a cat, so this will be my choice, as I know this also works at keeping larger critters out of your garbage, especially if you need to put the garbage out the night before. They can’t stand Credit: morguefile.comused cat litter especially the urine. So with the clumping cat litter you can get now, I am just going to put one clump in the opening I found and see what happens. I will be able to tell it worked when I don’t see holes in my lawn. If you are not sure if that is their entrance, put a crumpled piece of newspaper in the night before and if it was moved during the night and as a slight aroma, chances are it was your skunk’s favourite entrance to your yard. Place some peels from oranges, lemons or grapefruits at the base of your fence and change them out every few days. Or spray the bottom of the fence with orange oil or grapefruit oil. This seemed to be a favourite of one neighbor and said it kept everything out of his yard that needed to dig up the fence. The only thing with that pepper is my dog or cat might stick their nose in it and it might burn. But if you don’t have any pets that go outside or little kids that might put it in their mouth, it is still an organic option. I am not a fan of these because they are poisonous if eaten. I really don’t want to kill anything, and I fear other animals getting them, but it is an option if you use them safely. They are a great option to put in our shed to deter mice, raccoons and skunks, but left out in the open at the fence, I was not a fan especially with kids around. This video shows you that you have to cover the cage when transporting the caged skunk. One neighbor resorted to this, as skunks do not really have any natural enemies other than cars on the road, and you can see why with that horrid smell. Once you bait and place the trap where they can find it, you have to be ready quickly to take them somewhere. This is not a good idea if you simply put the live trap out and then take off for the weekend, they will die a horrible death and that is not the point. We just don’t want them in our backyard spraying the dog. I know I said 6 ideas, but here is an extra 7th if you are having trouble with wildlife in your yard or garage or shed, you can invest in electronics. One neighbor has this and said it kept his shed and garage clear of skunks and coyotees as well.